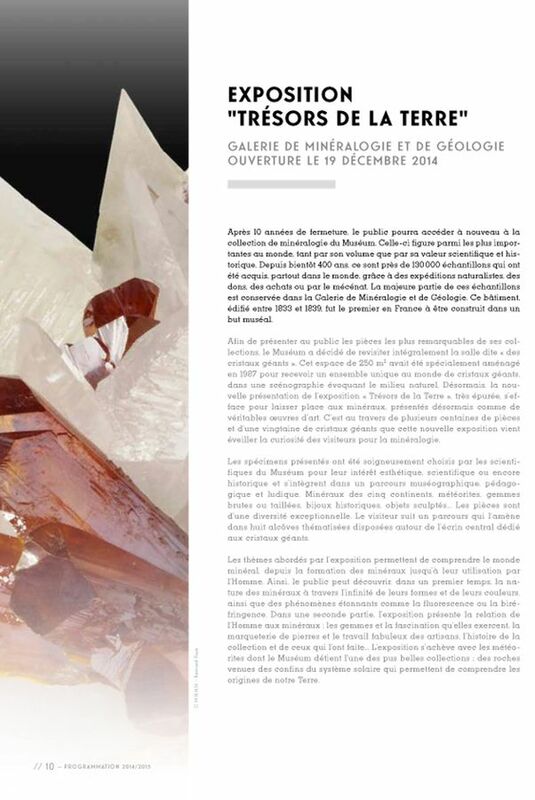 FMF - Friends of Minerals Forum, discussion and message board :: View topic - The Museum National d'Histoire Naturelle in Paris, France re-open! 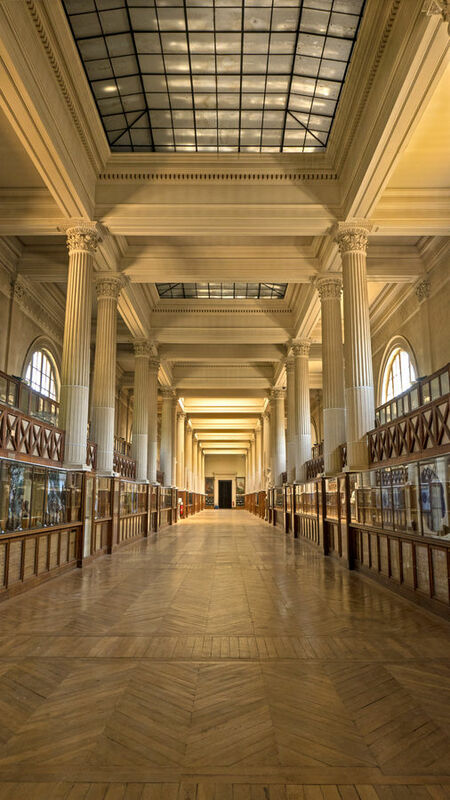 The Museum National d'Histoire Naturelle in Paris, France re-open! Posted: Dec 07, 2014 16:11 Post subject: The Museum National d'Histoire Naturelle in Paris, France re-open! The Muséum National d'Histoire Naturelle in Paris, France, finally will re-open after being closed 10 years. 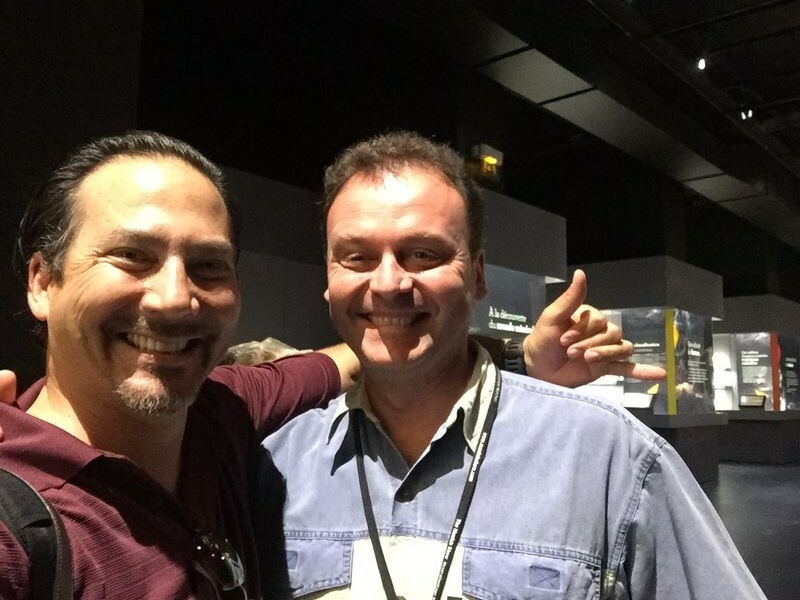 As Jordi said in his last post, the National Natural History Museum of France recently re-opened. I was lucky enough to visit the museum on my way home from the 2015 Sainte-Marie-aux-Mine Show. Back in 2014 I also visited the museum after the SMAM Show but the new Gallery hadn't yet been opened. Now it's open and it's TRULY worth a visit. I'll start posting the mineral photos next week. This is me in front of the entrance to the museum. This is located in the North Western side of the Jardin de lécole de botanique (Botanical and Ecology Garden). This is in the 5th Arr (arrondissements or administrative district) of Paris where the Latin Quarter is located. 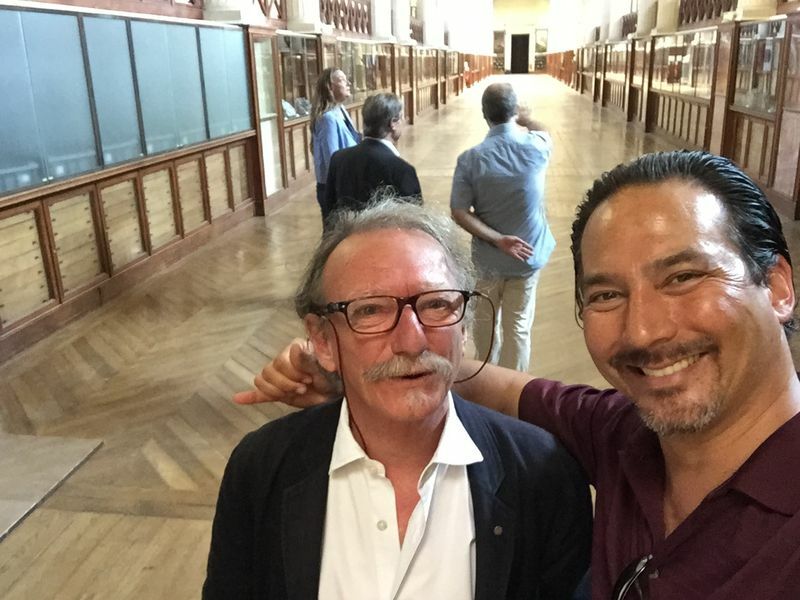 In the Classic Mineral Hall (due to open next year) with Curator Gian Carlo Parodi. Inside the Museum. Me with Curator Cristiano Ferraris. 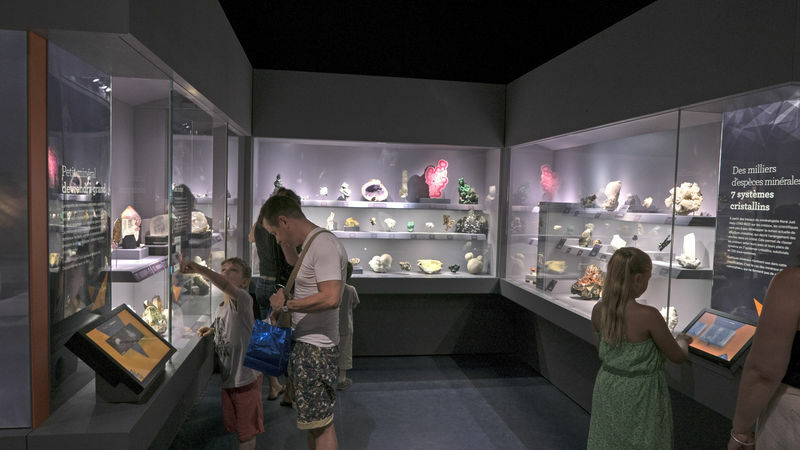 Posted: Jul 30, 2015 15:21 Post subject: Re: The Museum National d'Histoire Naturelle in Paris, France re-open! 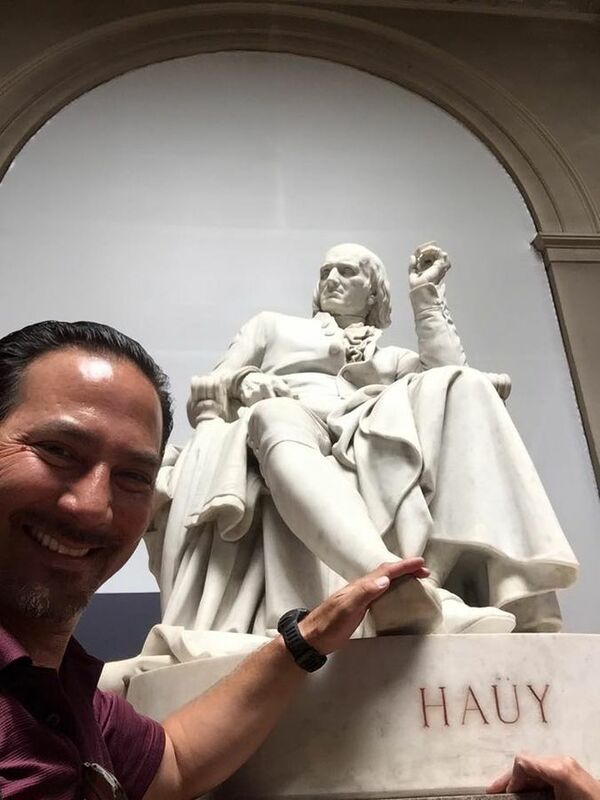 René Just Haüy - the father of modern crystallography and founder of the Mineralogical Museum at the National Museum of Natural History in Paris. The rumor is if you rub his foot you will be extremely lucky in finding minerals. It's funny to see his right foot so smooth compared to his left foot. I guess if you rub that, you just end up stuttering. 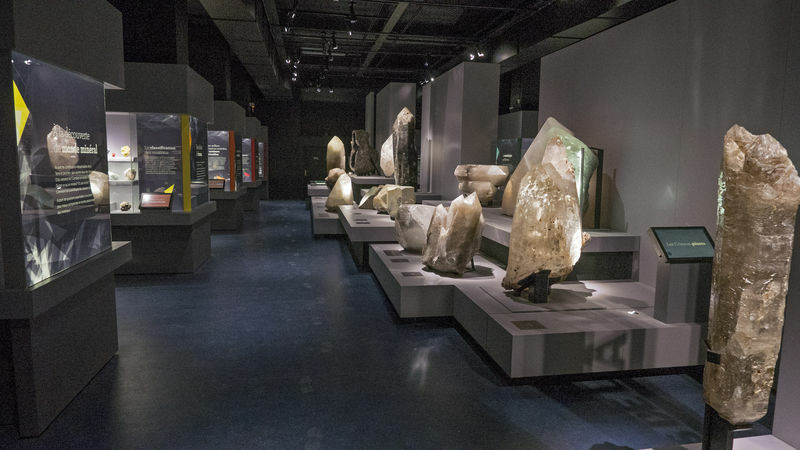 The entrance into the newly-opened Mineral Hall features these Quartz Sentinels watching over the exhibit. The displays continue down this hall and the loop back on the other side of the Sentinels. I was quite amazed as one year ago I visited and this entire area was nothing more than a construction zone. Close up of some of the Sentinels (FYI, this is my word for them, not the museum's). 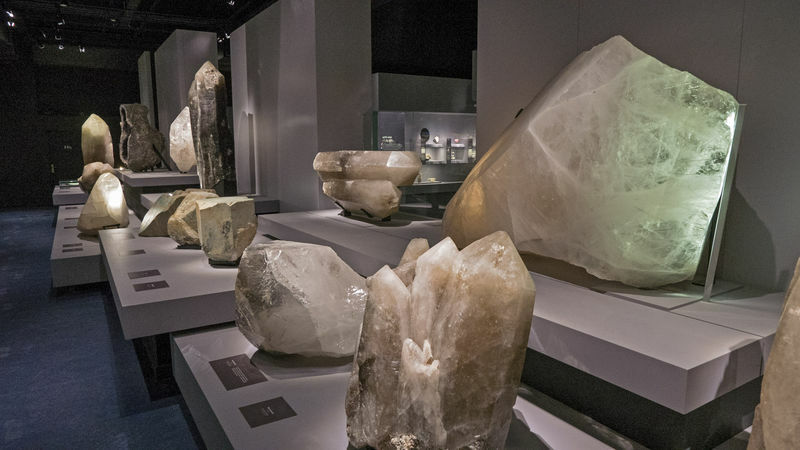 Down the first half of the display, there are four nooks like this where minerals are displayed on the three sides of the nook. Very nice display and the people really enjoyed this. Lots of English-speaking people too. Posted: Jul 30, 2015 15:26 Post subject: Re: The Museum National d'Histoire Naturelle in Paris, France re-open! And nice and BIG Afghanite from Badakhchan, Afghanistan. A final shot of the Quartz Sentinels. 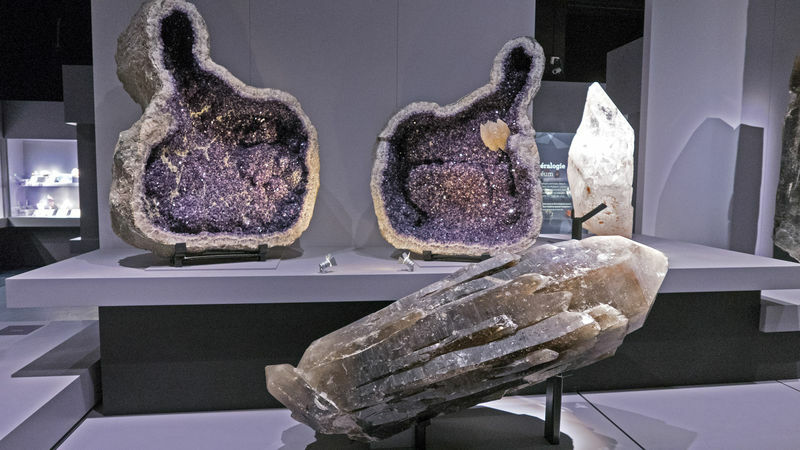 In the back is a large Amethyst geode with a nice big Calcite growing inside of it. 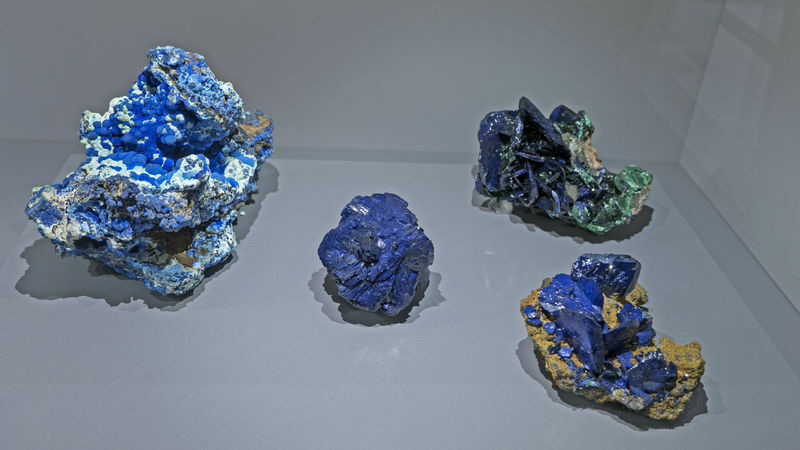 Four nice Azurite specimens from Bisbee, Arizona, USA. 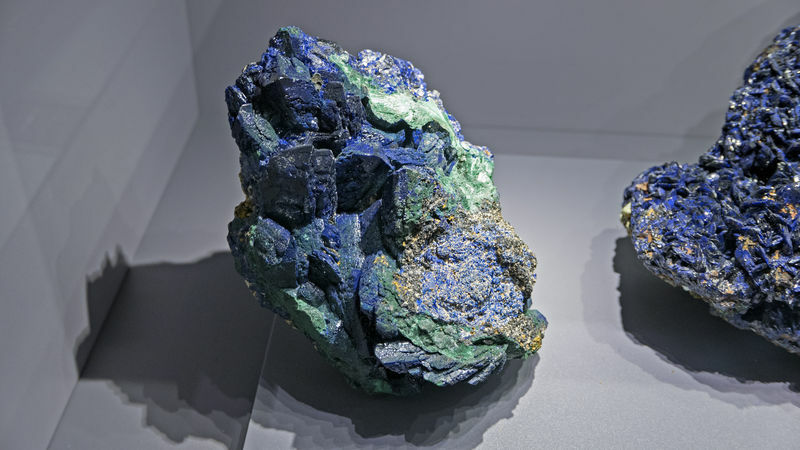 A LARGE Azurite specimen also from Bisbee, Arizona, USA. Azurites from the ancient collection of Des Cloizeaux. 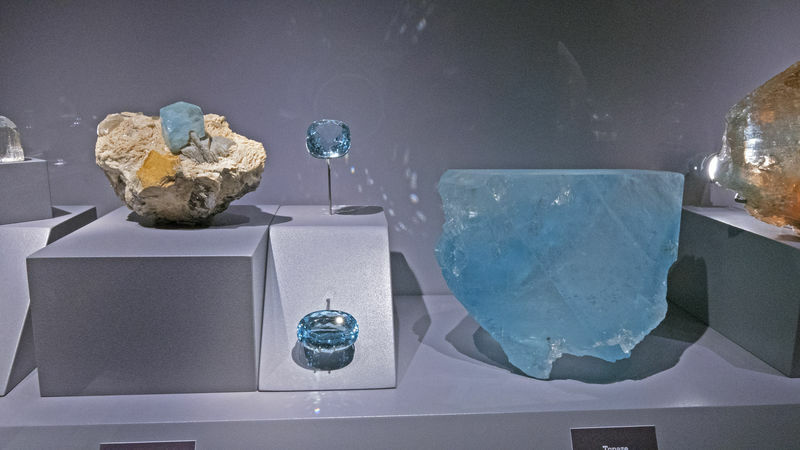 Des Cloizeaux was a professor here at the National Museum of Natural History and is credited with the discovery of microcline feldspar (think Amazonite - probably the most well-known microcline here in the USA). He was probably most well known for his exhaustive study of crystal structure. 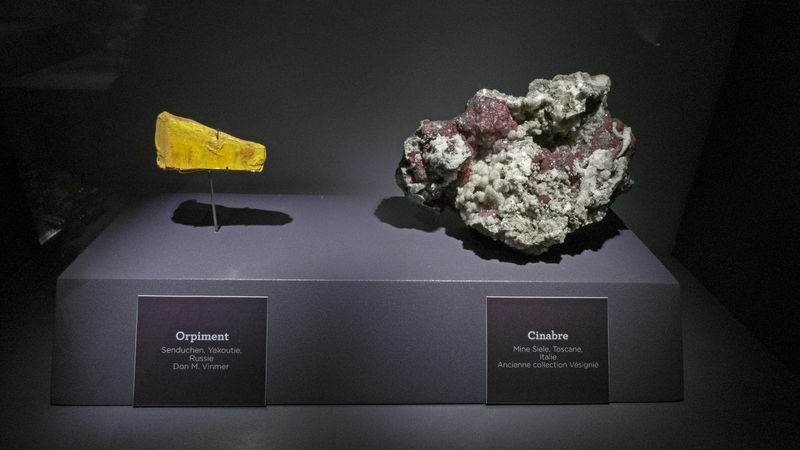 The mineral Descloizite was named in honor of Des Cloizeaux. 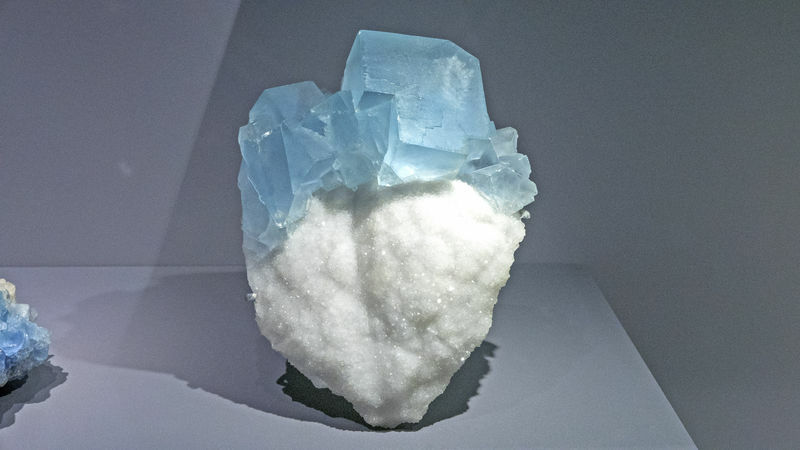 A big Benitoite specimen from California, USA. 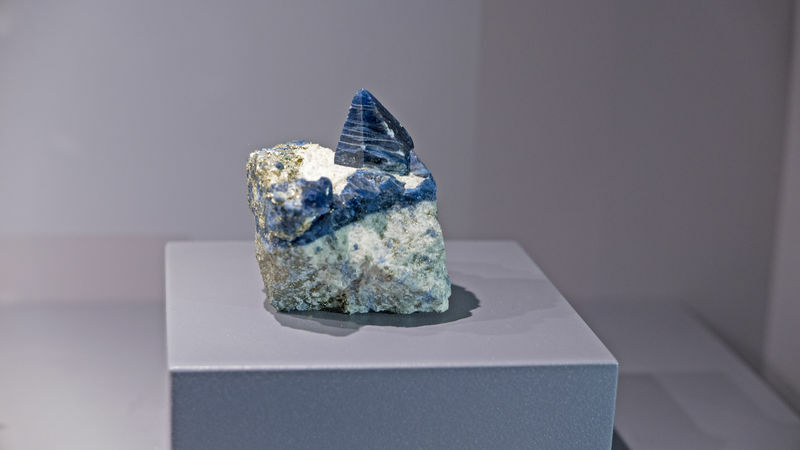 Benitoite is the State Gemstone for the state of California. Posted: Jul 30, 2015 15:35 Post subject: Re: The Museum National d'Histoire Naturelle in Paris, France re-open! 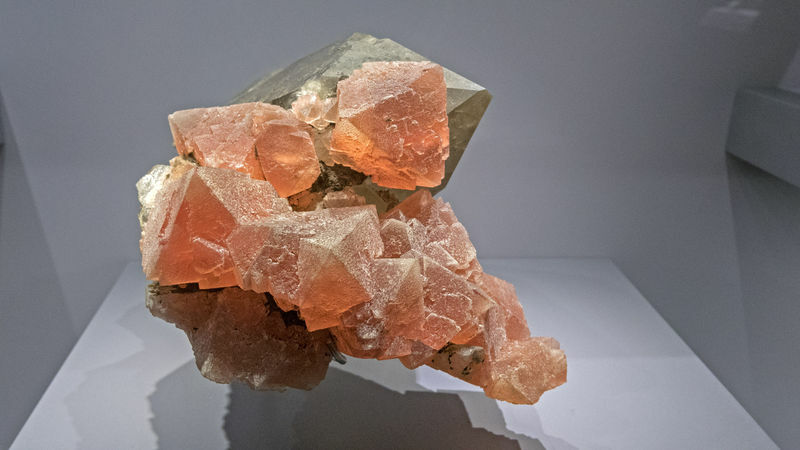 An GREAT Calcite from Dal'negorsk, Russia. 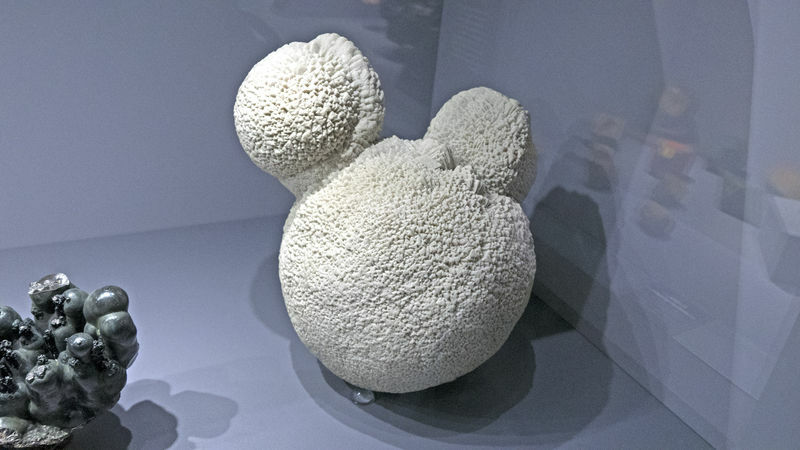 The FAMOUS Mickey Mouse Calcite from Fontainbleau, France. 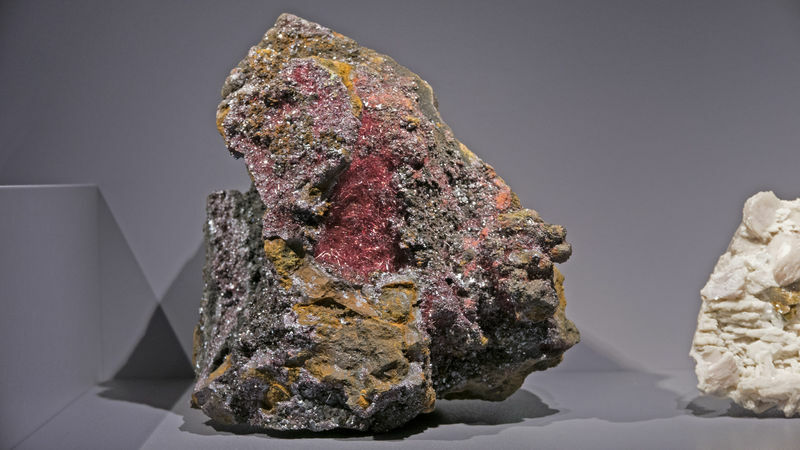 A large Cuprite piece from China. 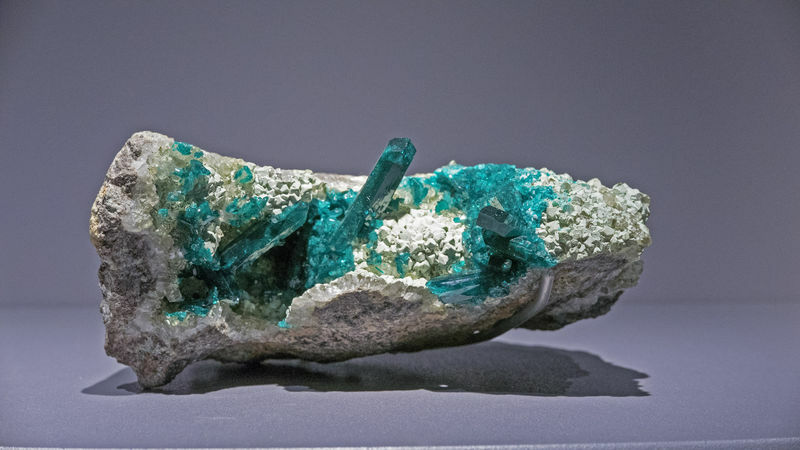 A KILLER Dioptase from Congo. I LOVE the single crystal sticking up in the middle. 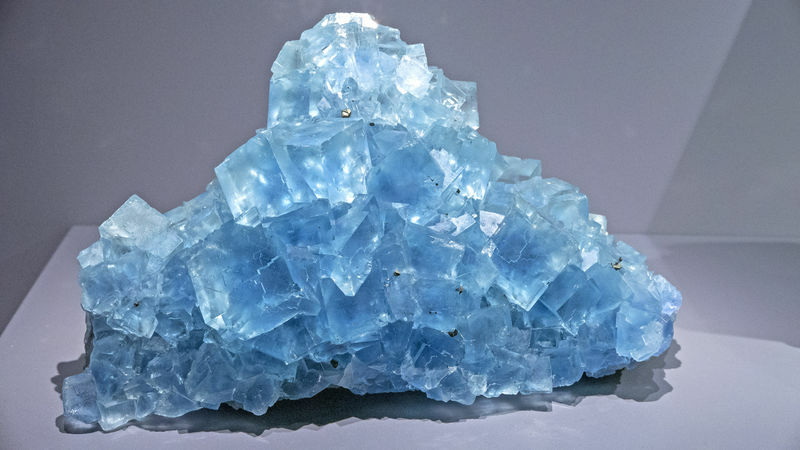 A really great blue Fluorite from Le Burg, France. Another French Fluorite. This one is from Le Beix. 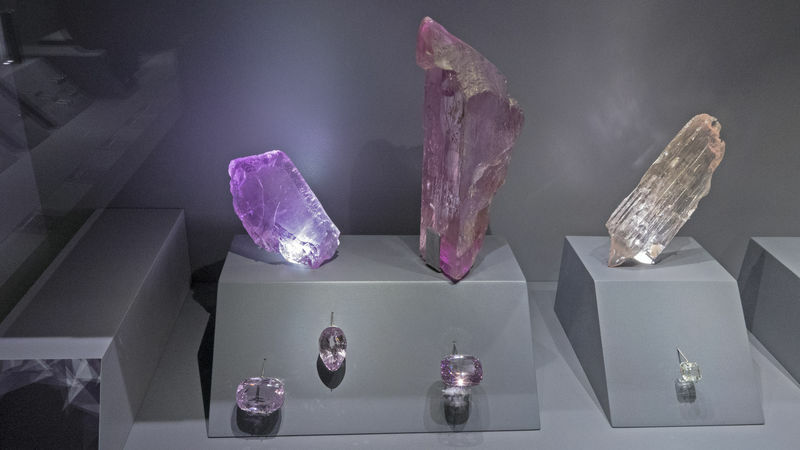 The FAMOUS Laurent Fluorite from Chamonix, France (the French side of Mont Blanc). 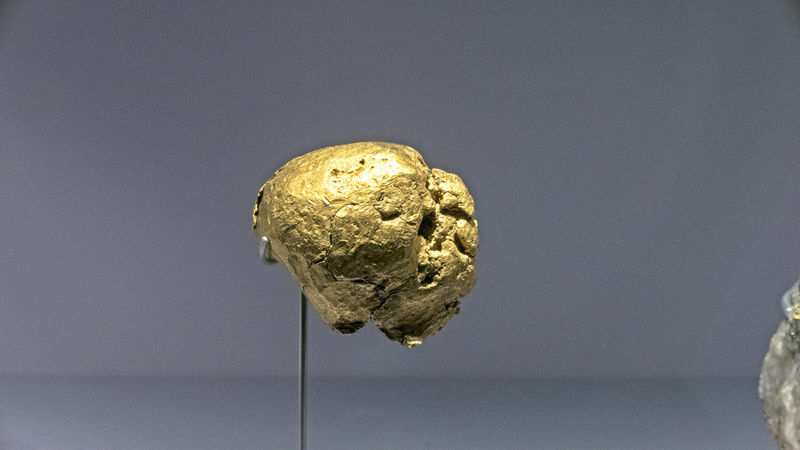 This specimen is the first natural history specimen to be classified as a French National Treasure. Posted: Jul 30, 2015 15:43 Post subject: Re: The Museum National d'Histoire Naturelle in Paris, France re-open! 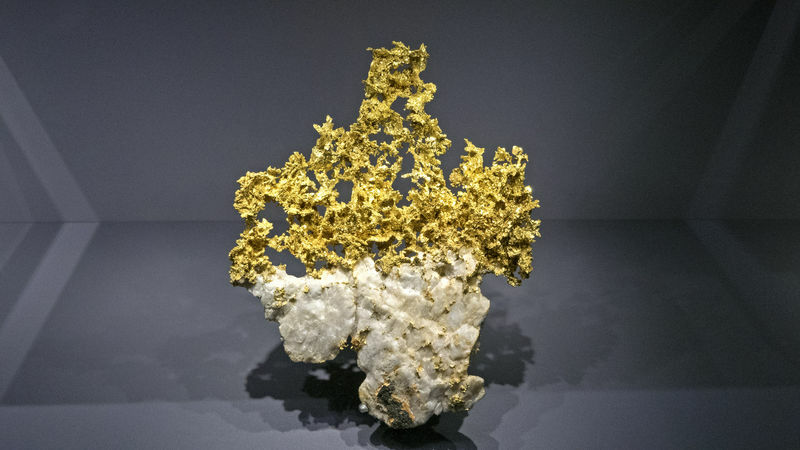 A nice Gold specimen from Placerville, California, USA. 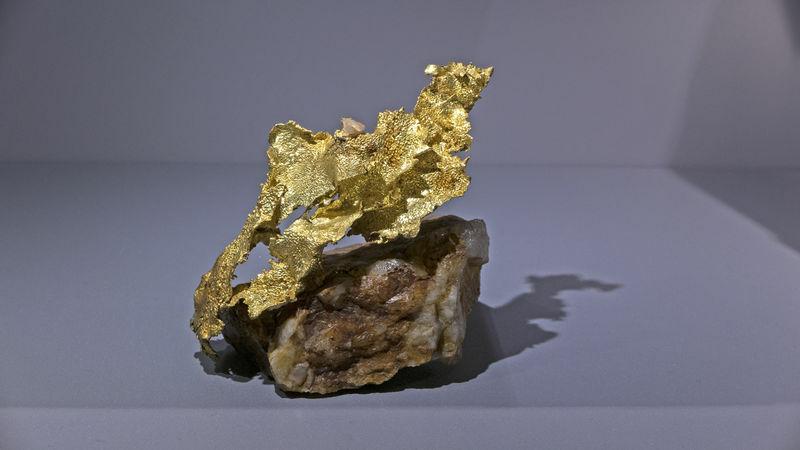 A spectacular Crystallized Gold specimen from the Eagle's Nest Mine in California, USA. 352.5 grams of a Gold nugget from Queensland, Australia. 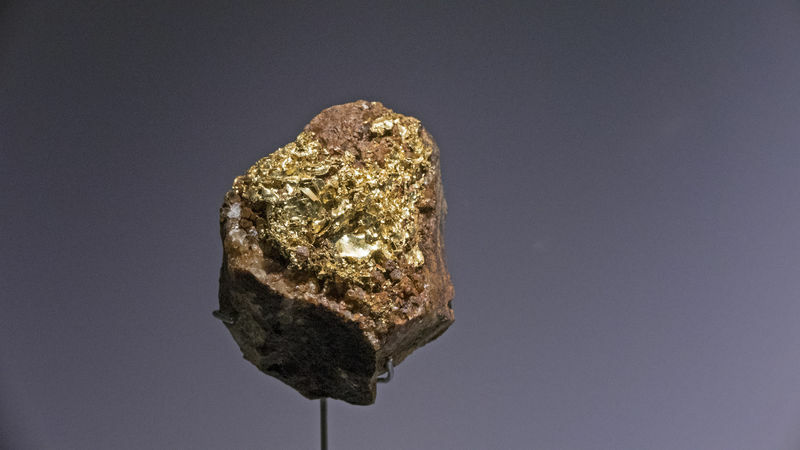 A 270g nugget of Gold from Adelaide, Western Australia. 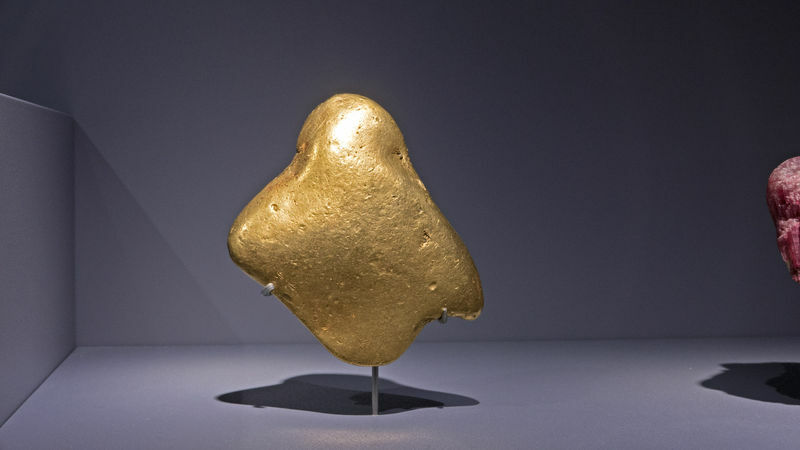 A 507g Gold Nugget from Peru. 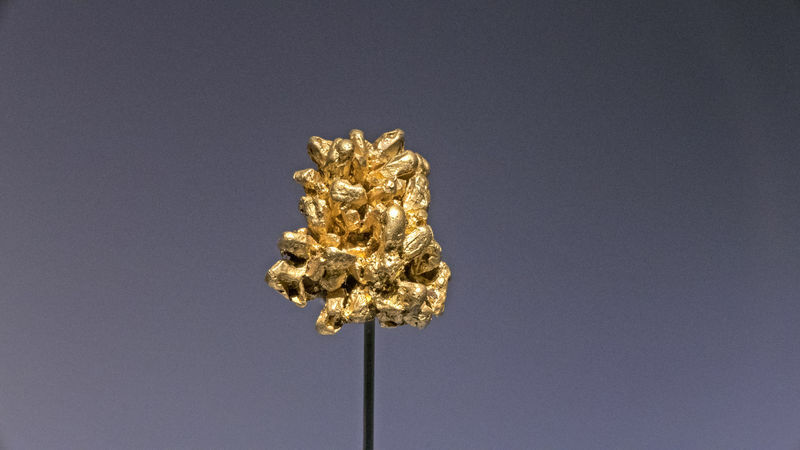 According to the label, this piece is called, "Gold of the Incas" and was presented to the Museum by an emissary of the Spanish King Carlos IV in the hopes that this gift would dissuade Napoleon Bonaparte from invading Spain. As history shows, this was not an effective ploy. THIS is the kind of history that this museum has on display. INCREDIBLE!!! Another great crystallized Gold specimen. Posted: Jul 30, 2015 15:51 Post subject: Re: The Museum National d'Histoire Naturelle in Paris, France re-open! 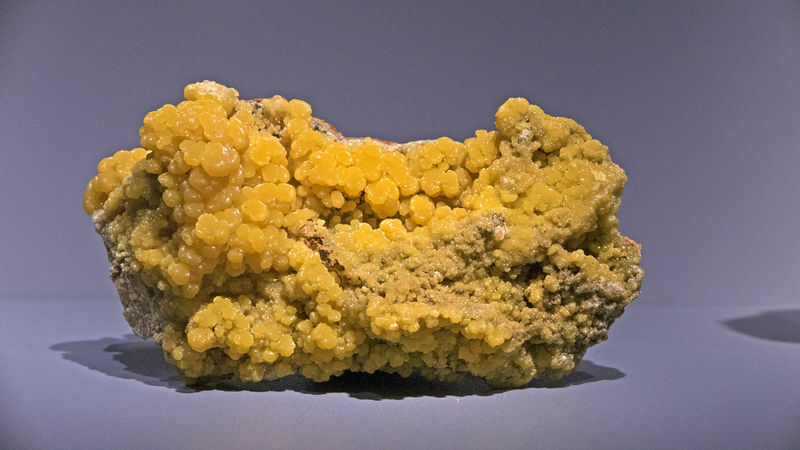 A huge Mimetite specimen from the Santa Eulalia District in Chihuahua, Mexico. A nice set of Platinum Nuggets from Russia. 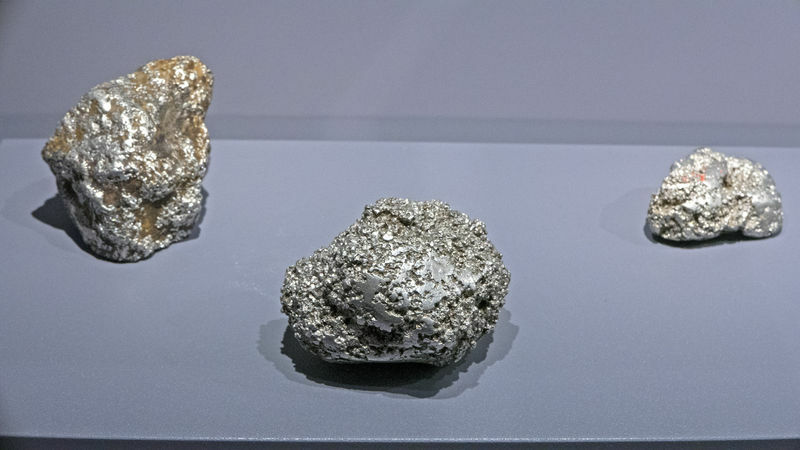 Weighing in (from left to right) at 803g, 737g and 204.5g, these pieces are from the ancient collection of Czar Nicolas I. When Nicolas died in 1855, these pieces were gifted to the Paris Academy of Sciences which then delivered them to the museum two years later. 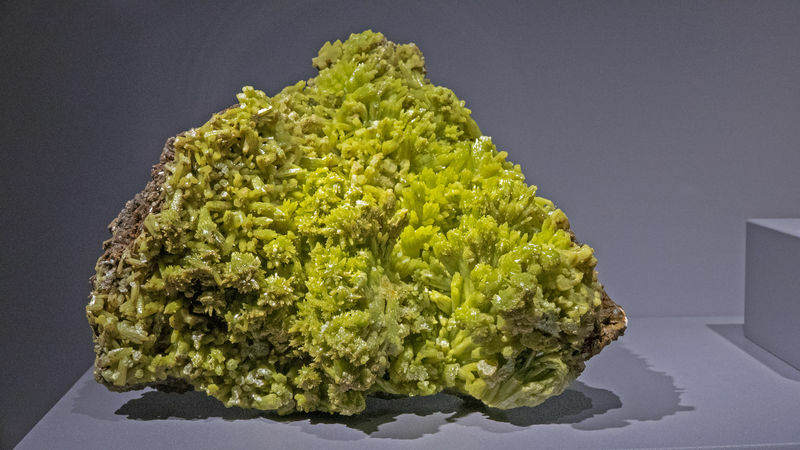 A LARGE Pyromorphite plate from Roughton Gill, England, UK. 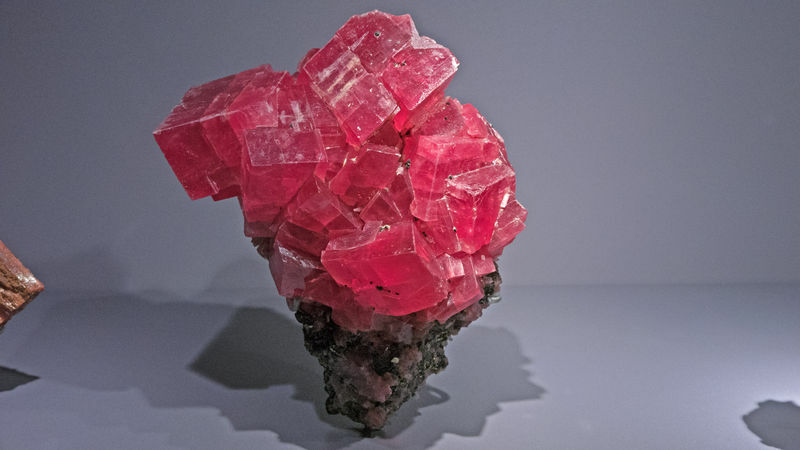 A classic Rhodochrosite from the Sweet Home Mine in Colorado, USA. 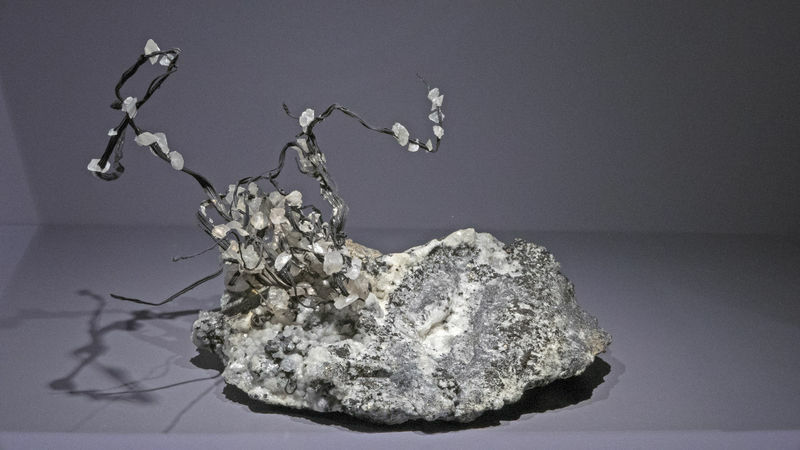 A VERY rare native Silver specimen from the classic Kongsberg Mine in Norway. VERY rare to see a complete and unbroken loop. 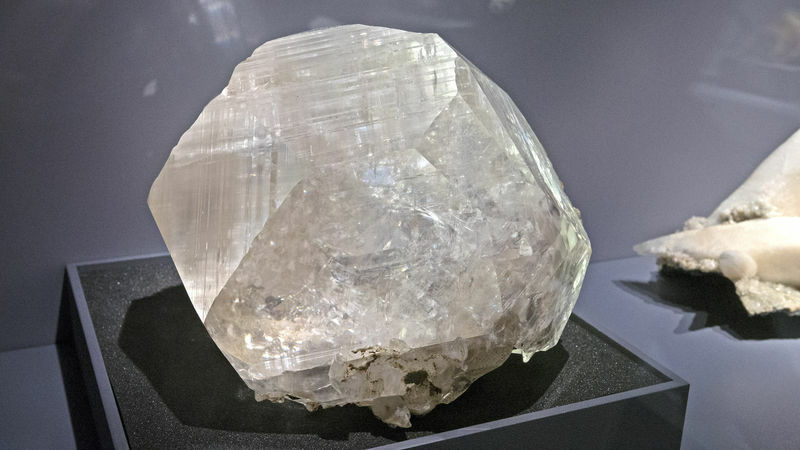 A beautiful specimen of Native Silver with Calcite from the Valenciana Mine in Mexico - one of the most important Silver mines for colonial Spain. 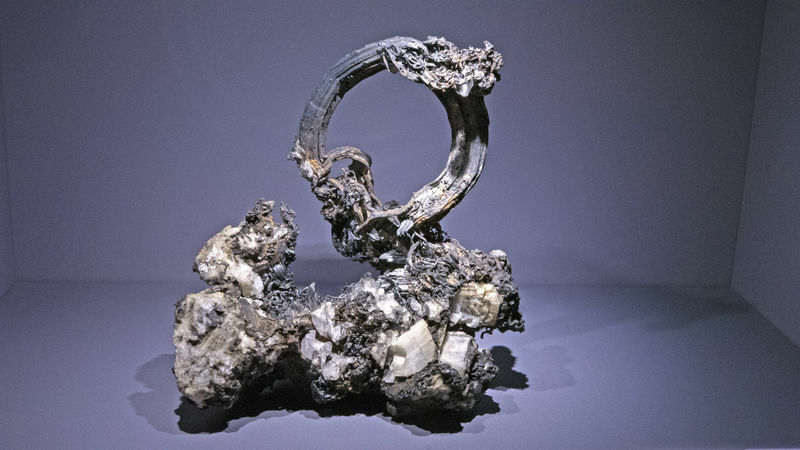 This piece is from the Vesignie Collection. 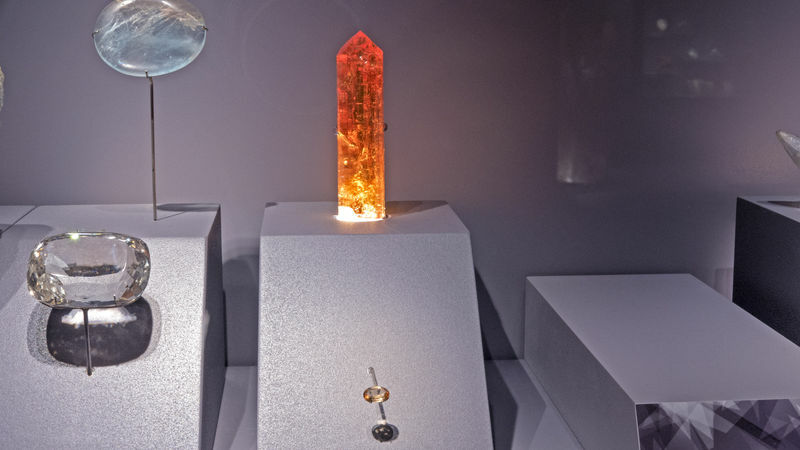 Colonel Jean Paul Louis Vesignie (1870-1954) was an important French military man who amassed a collection of over 40,000 minerals that he eventually donated to the Paris School of Mines, the National Museum of Natural History and the Sorbonne Museum. 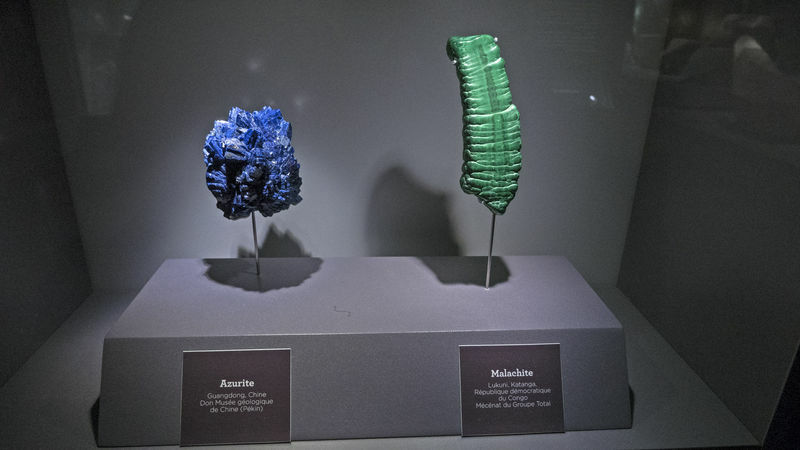 The mineral Vesignieite is named after him. 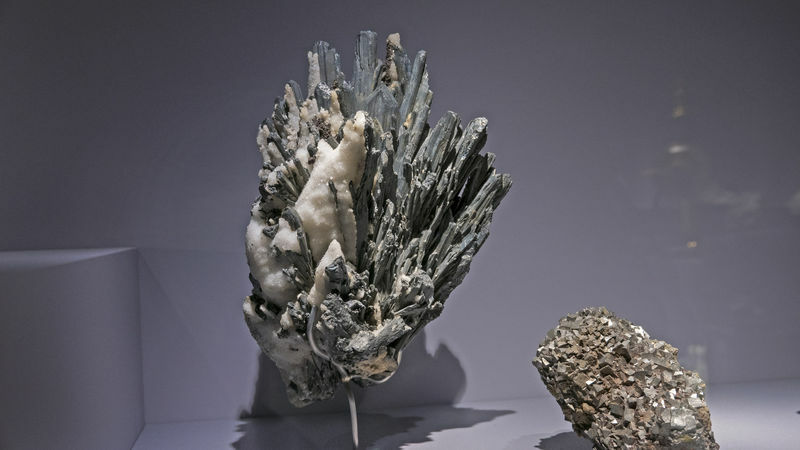 A large French Stibnite specimen. 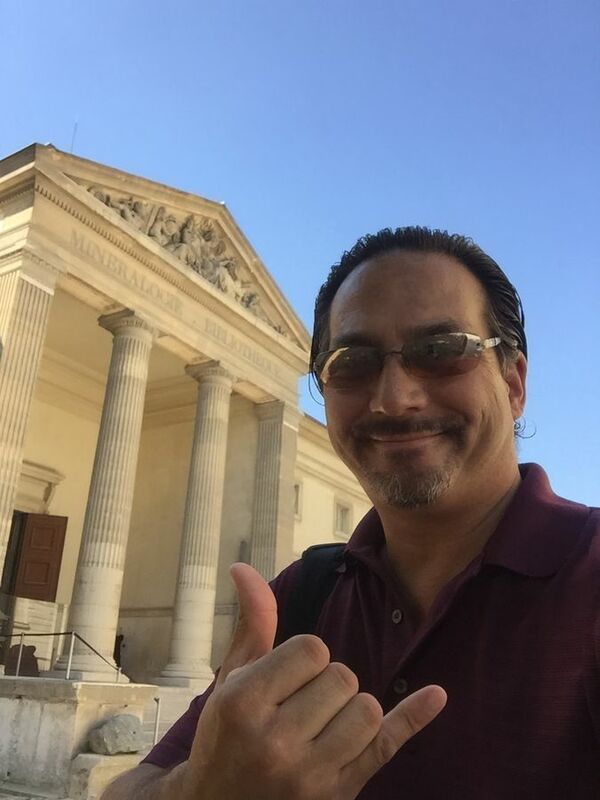 Posted: Jul 30, 2015 15:57 Post subject: Re: The Museum National d'Histoire Naturelle in Paris, France re-open! 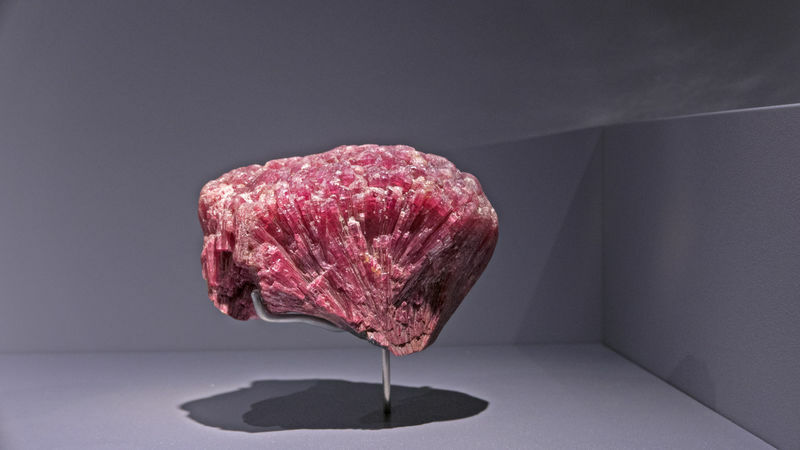 A large Rubellite from Siberia, Russia. 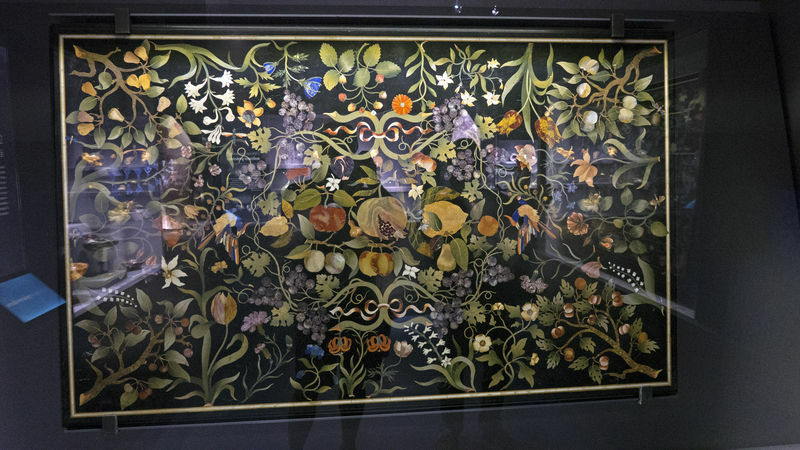 This was in the collection of Russia's Catherine The Great who ruled Russia during their Golden Age and made Russia one of the great powers of Europe. 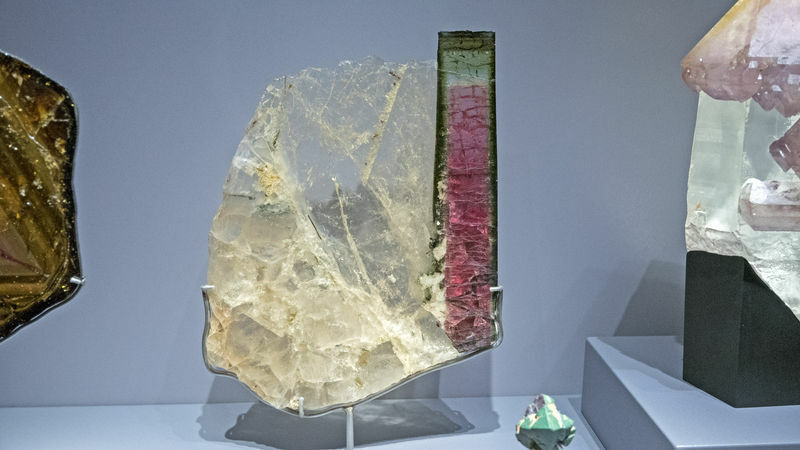 A nice Tourmaline and Quartz slab from Brazil. 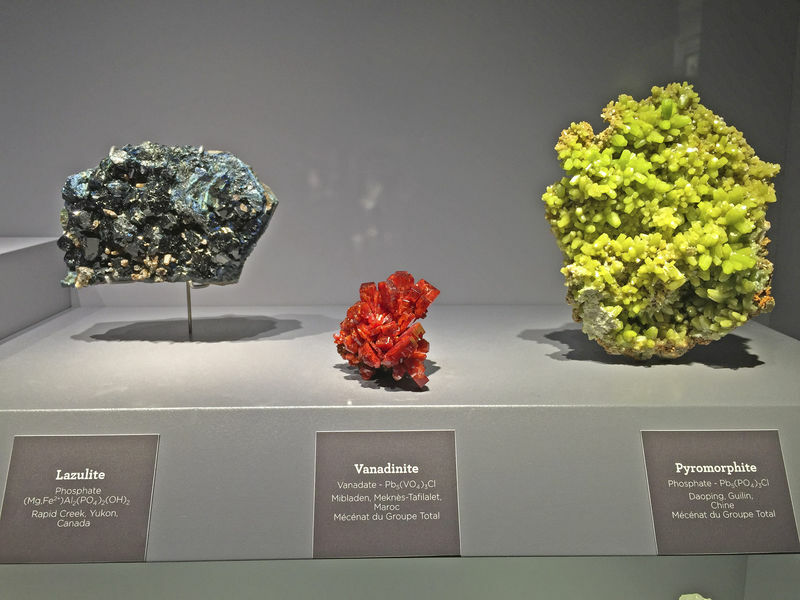 I was most impressed by this Vanadinite from Morocco but then thought that the three specimens made a nice display. 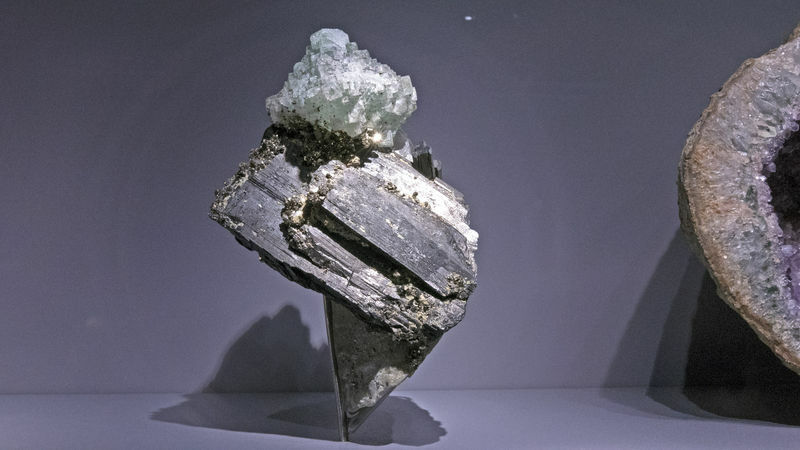 A crazy Wolframite with Fluorite from Kazakhstan. Posted: Jul 30, 2015 15:58 Post subject: Re: The Museum National d'Histoire Naturelle in Paris, France re-open! Coming up next will be some of the INCREDIBLE display themes that the National Museum has on display. Posted: Jul 30, 2015 16:03 Post subject: Re: The Museum National d'Histoire Naturelle in Paris, France re-open! Amazing photos and nice specimens. Posted: Jul 30, 2015 22:03 Post subject: Re: The Museum National d'Histoire Naturelle in Paris, France re-open! Thanks Roger. 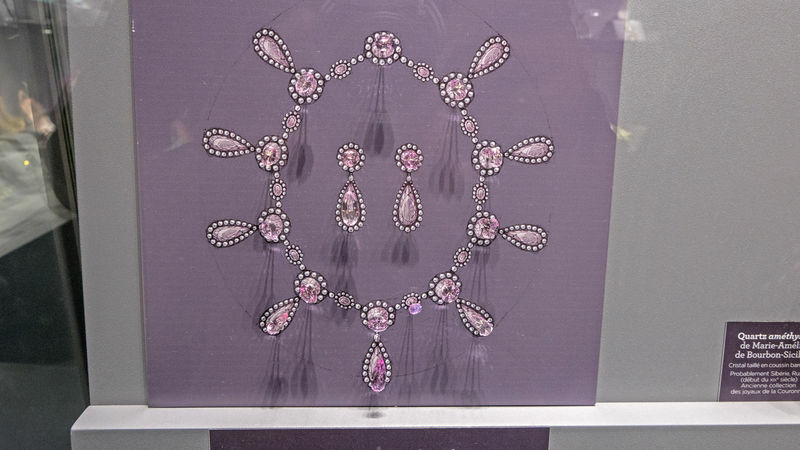 Wait until you see some of the more historic pieces of jewelry on display. Simply amazing. 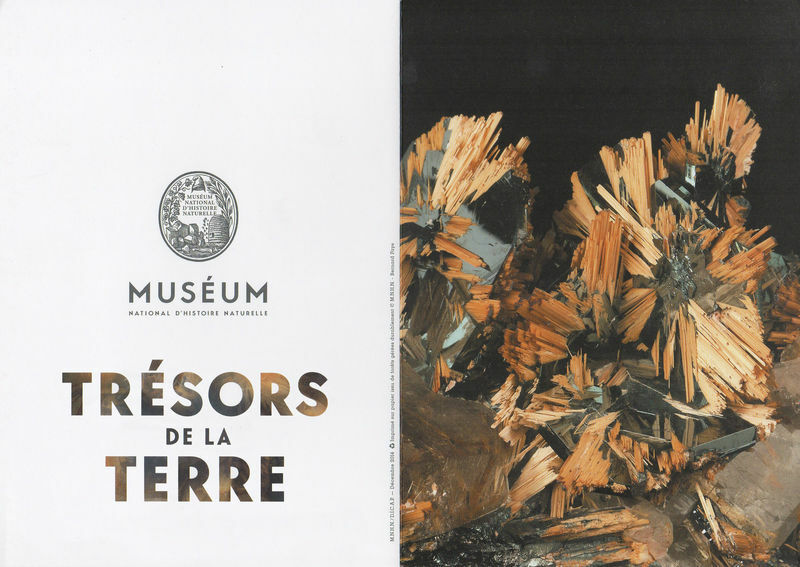 Posted: Aug 03, 2015 15:00 Post subject: Re: The Museum National d'Histoire Naturelle in Paris, France re-open! ...and then the paint pigments that were made from the minerals. Posted: Aug 03, 2015 15:01 Post subject: Re: The Museum National d'Histoire Naturelle in Paris, France re-open! From the collection of the National Museum of Natural History - Paris. 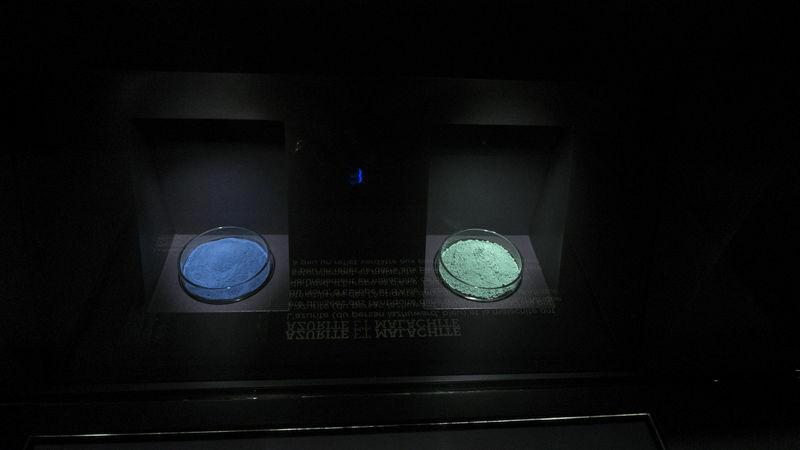 ...and the paint pigments made from grinding up the minerals into powder. Posted: Aug 03, 2015 15:03 Post subject: Re: The Museum National d'Histoire Naturelle in Paris, France re-open! Absolutely FANTASTIC mosaic tables from Italy. 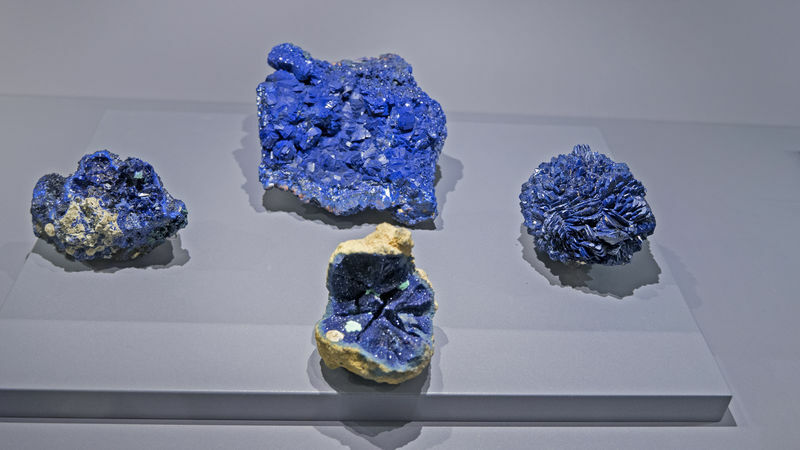 Not mineral specimens but mosaic table tops made from various minerals. 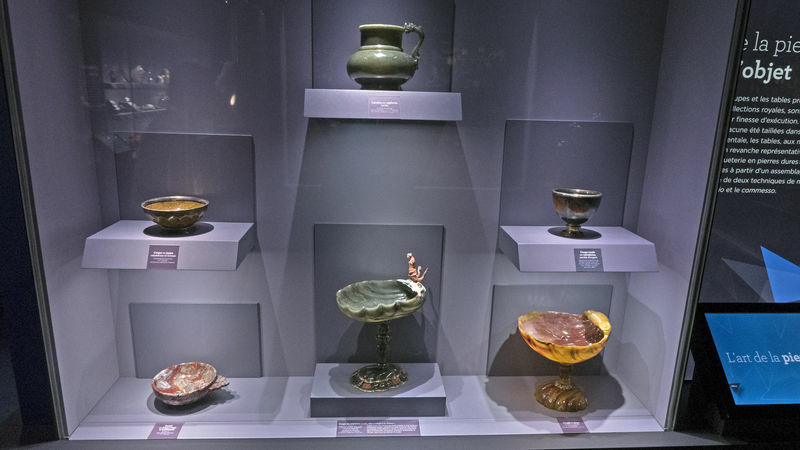 These are from Florence, Italy and are out of the collection of the Medici Family - one of the wealthiest and powerful families in Europe. 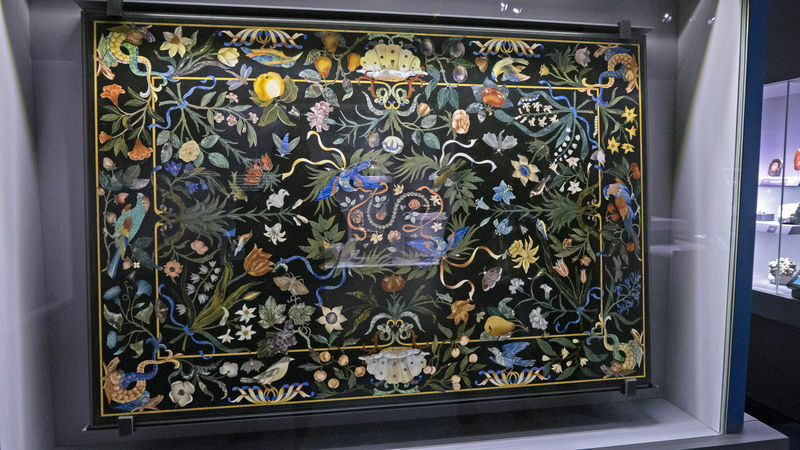 Another mosaic tabletop from the Medici Family Collection, Florence, Italy. 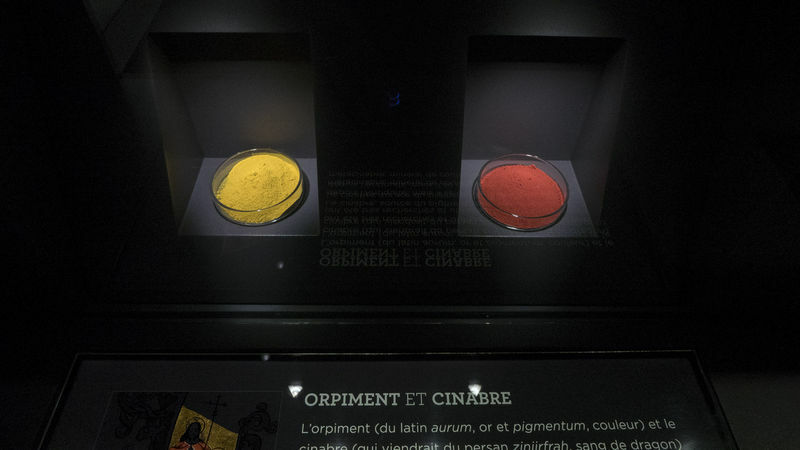 Posted: Aug 03, 2015 15:12 Post subject: Re: The Museum National d'Histoire Naturelle in Paris, France re-open! Rough & Cut displays always have a warm place in my heart. One of the museum's two Rough and Cut displays. 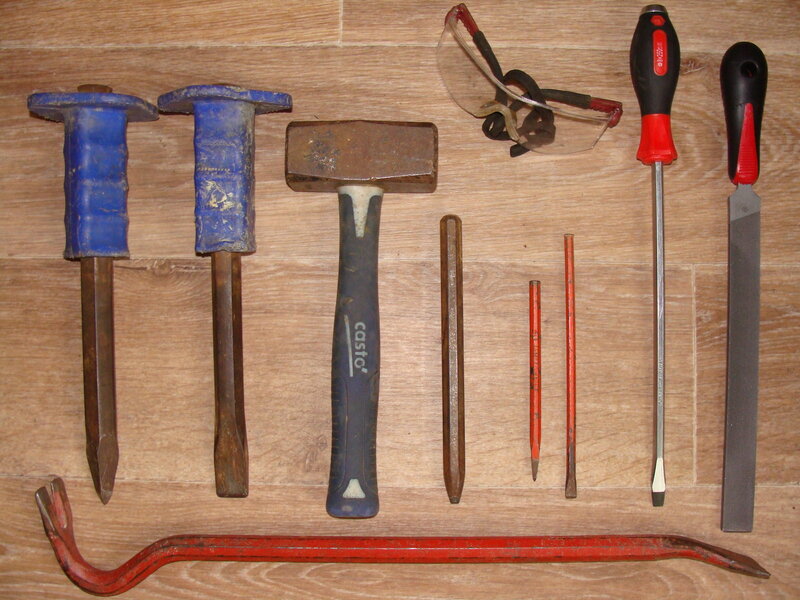 The second display of Rough & Cut. Emerald - Rough & Cut. 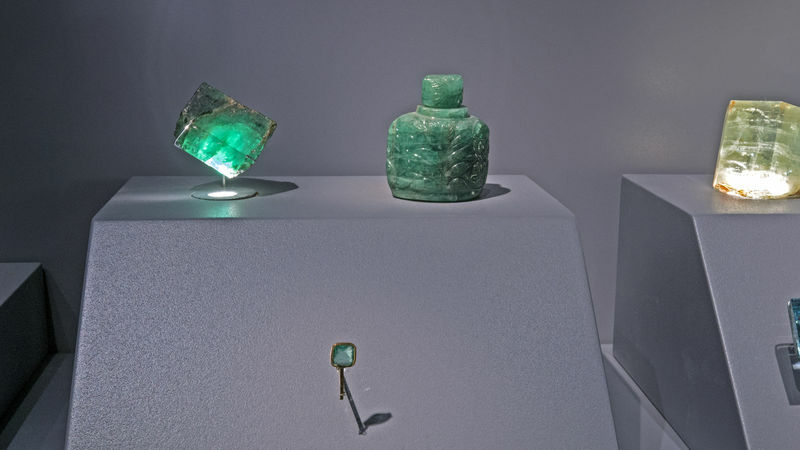 The crystal is a 320.6ct specimen from Russia, the 556ct engraved Emerald bottle is from Brazil and the cut stone is a Colombian Emerald and was part of the Haüy collection. 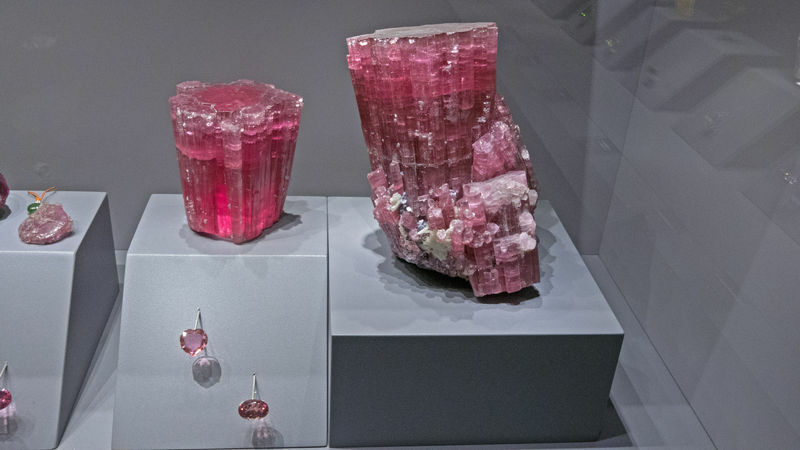 Tourmaline rough and cut from Pala discovered in 1900. 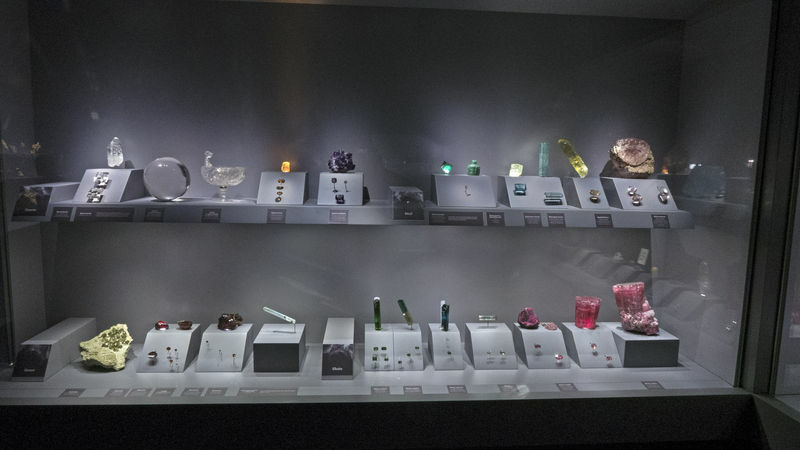 At this time in Pala's history, these pink tourmalines were being mined for the Empress Dowager Cixi of China who LOVED pink tourmalines and was responsible for driving the economic boom of the Pala region of this time. 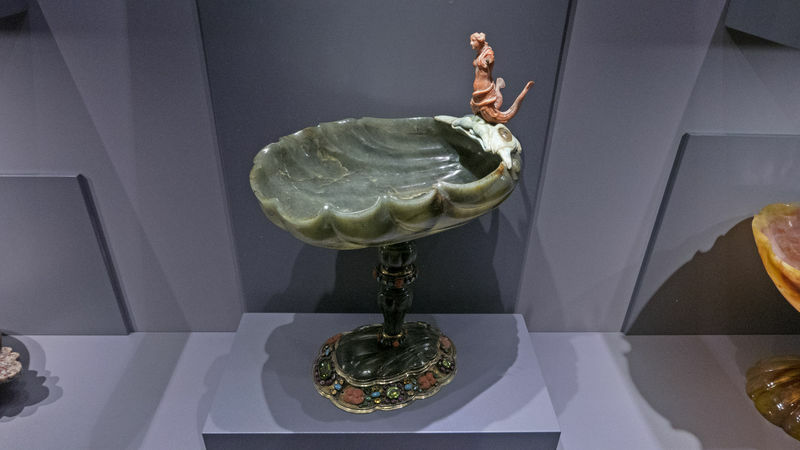 In 1907 George Kunz, working for Pierpont-Morgan at the time, donated these pieces. Most recently cleaned by French dealer Alain Martaud. 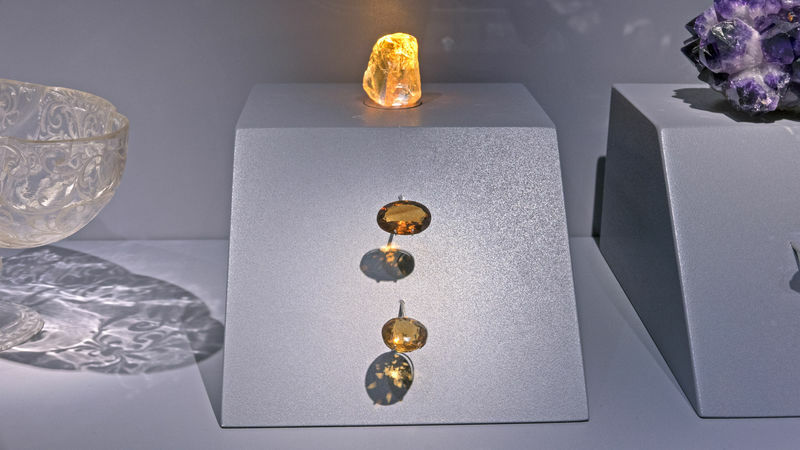 A Citrine Rough & Cut display all from Minas Gerais, Brazil. Posted: Aug 06, 2015 14:22 Post subject: Re: The Museum National d'Histoire Naturelle in Paris, France re-open! Home stretch...these are the final uploads from the National Museum of Natural History in Paris. 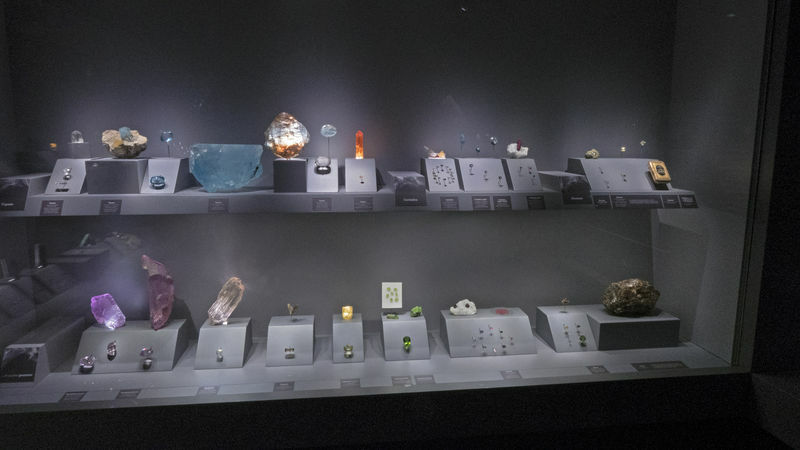 The museum also has a VERY historic collection of gems and jewelry. This is a 205ct Russian Aquamarine that was owned by Louis XVIII - the only French monarch to have ruled after Napolean Bonaparte - TWICE!! 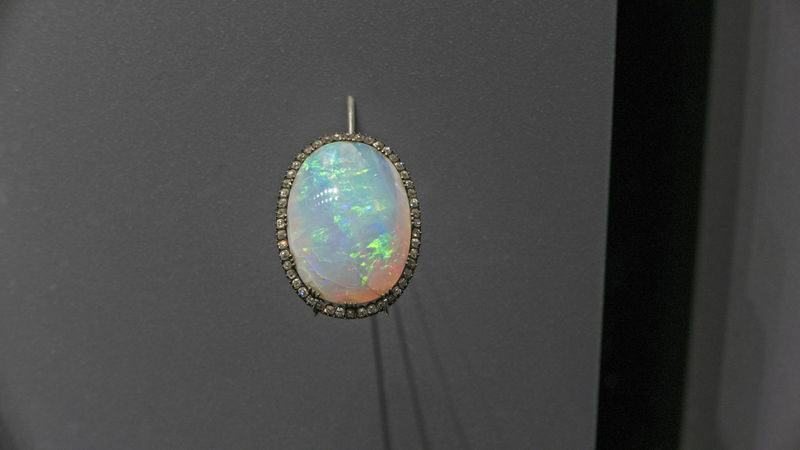 A 77ct Opal from Minas Gerais, Brazil. Also from the Louis XVIII collection. 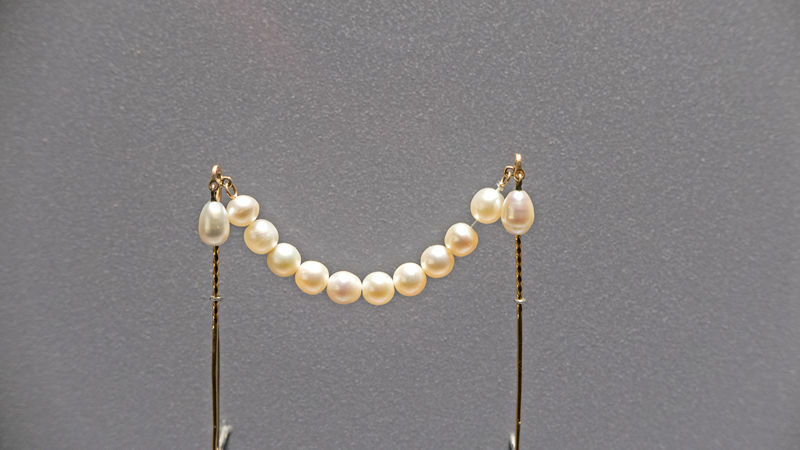 A set of Pearls that were once owned by Marie-Antoinette - the Queen of France from 1774-1792. She was ruling when the French Revolution took place and, in 1793, she, literally, lost her head as she was found guilty of treason and guillotined in the Place de la Révolution. 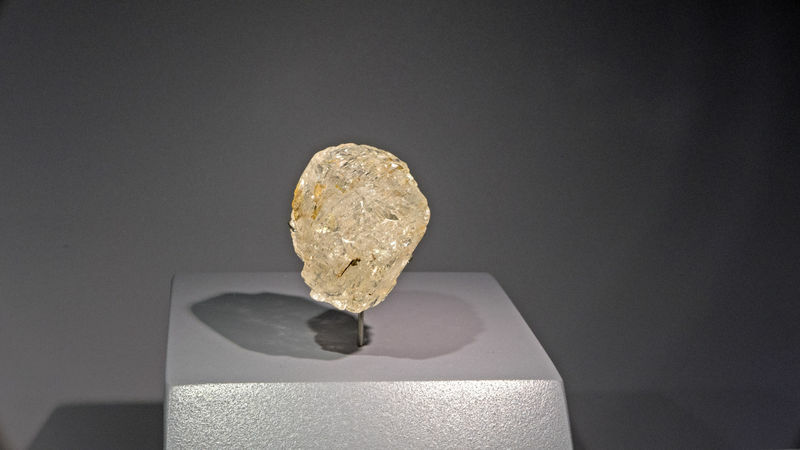 Three diamond briolettes, each at 3.5 carats, most likely from Golcanda, India. These were also once owned by Marie-Antoinette - Queen of France. One year ago I was able to see these as they were stored in the museum vault. It's very nice to see them now on public display. 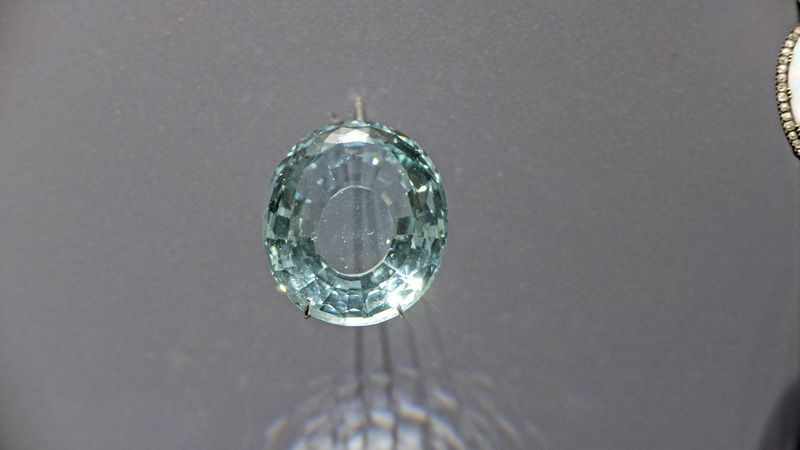 A 135.8ct Sri Lankan Sapphire. This was owned by Louis XIV (aka Louis The Great and the Sun King). Louis XIV ruled France from 1643-1715 - the longest rule of any monarch in European history. 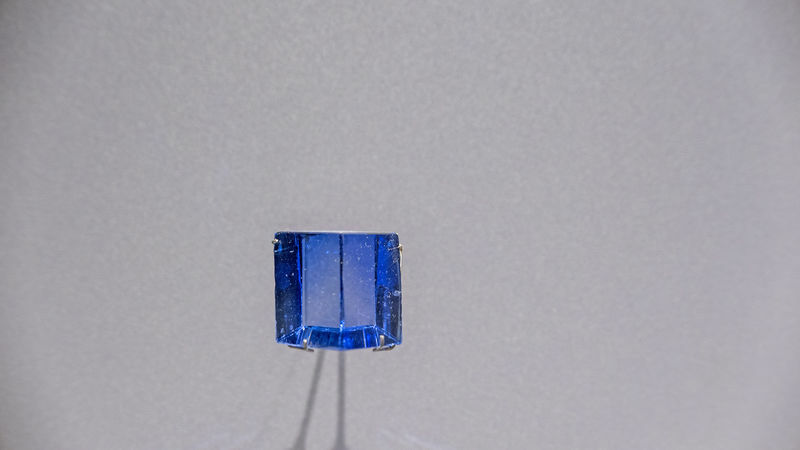 Louis XIV loved blue gemstones and made this one of the main pieces of the French Crown Jewels. 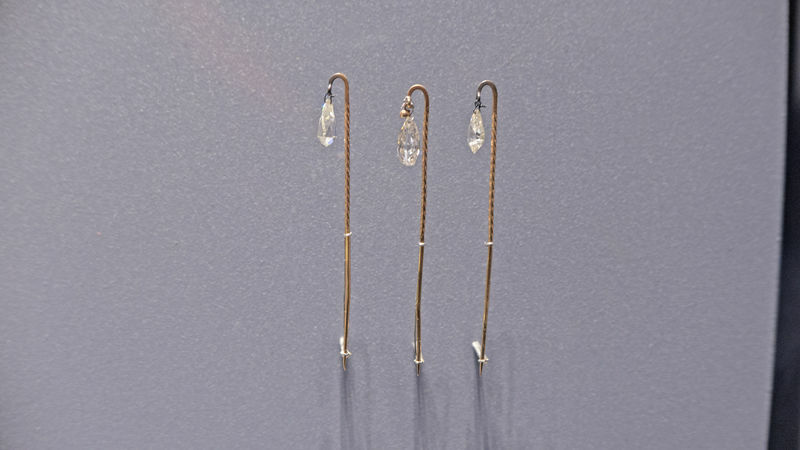 Topaz jewelry belonging to Empress Maire-Louise - second wife to Napolean Bonaparte. 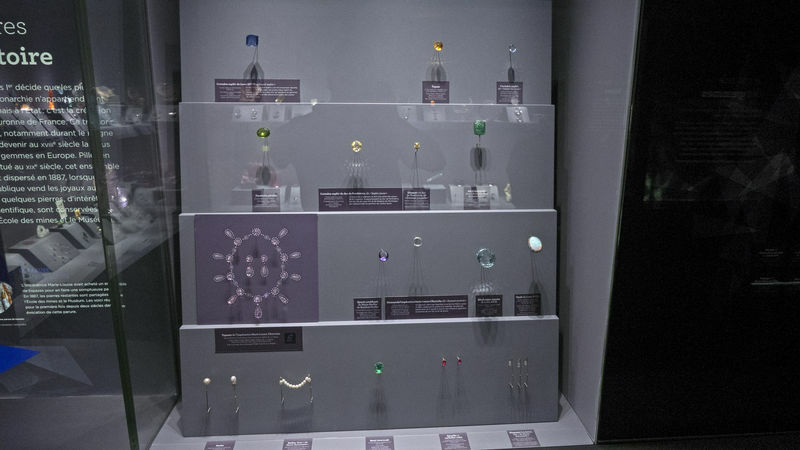 These stones came from Minas Gerais, Brazil and this pieces was part of the collection of the Crown Jewels. 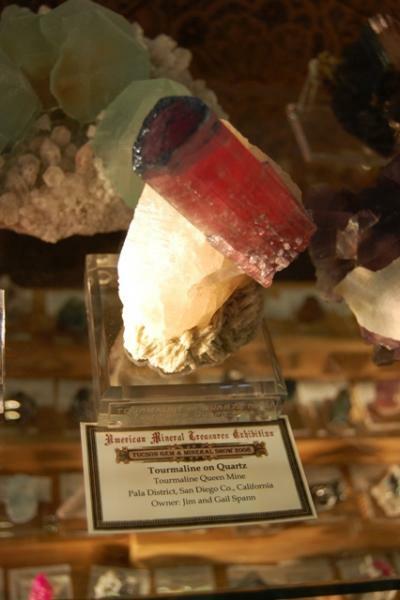 Also on display is a lapidary collection. 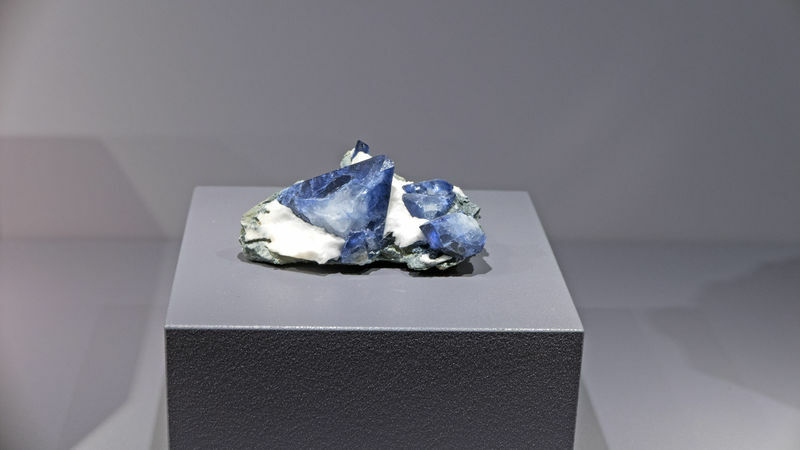 Close up of one of the pieces from the lapidary collection. 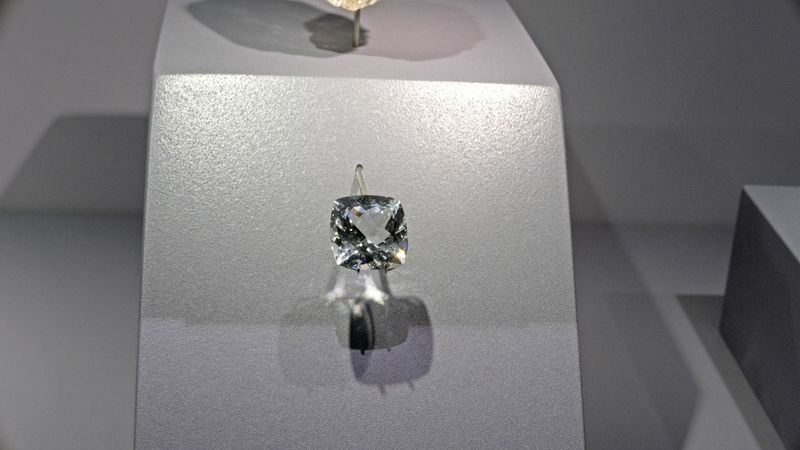 ...and it's matching Phenacite cut stone weighing in at 18.56ct. Here is a shot of the original display hall for the museum. Very classic display and education room with two levels on both sides. This was a learning museum and, as you walk down and look at the cases and drawers, it becomes very evident of this past. The current plan is to have this section re-opened to the public in the next year or two.